Wah Wah Wee Wah, with England playing Kazakhstan – Subside Sports have launched a new competition. If you have been watching the African Nations Cup and seen a kit you like then Subside Sports have replica shirts of all the participating countries. 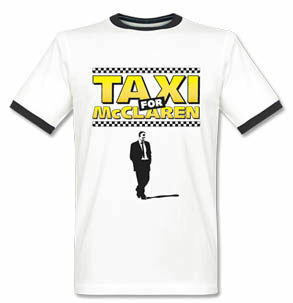 With England failing to qualify for the European Championships it was inevitable that a taxi would be called for McClaren.